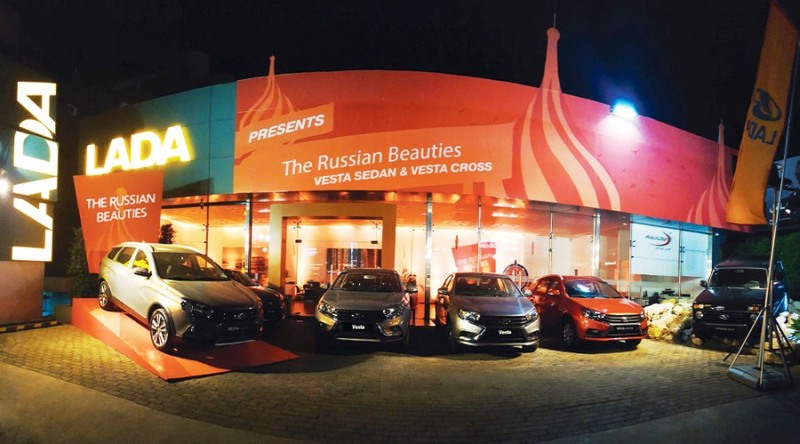 The LADA Vesta Sedan and Vesta Cross, two new Russian beauties are all set to make their presence felt in Lebanon this month, following their successful launch. LADA yet again introduces modern designs, strong performances, reliability, competitive prices and a sense of heritage that customers have come to expect from the automobile manufacturer. A definite crowd-puller, LADA Vesta is dynamic, strong and incredibly attractive with its striking design, contrasting graphics and curved chrome plate molding. One of the brand’s signature trademarks is its excellent safety level in all versions. Furthermore, Vesta Sedan & Cross are equipped with anti-lock braking system (ABS), airbags, along with touch screen, navigation system and rear-view camera. Starting price for the Vesta Sedan is at $11,500 and Cross at $16,500 excluding VAT, customers can get a closer look at the new models and take advantage of the exclusive offers at LADA’s Jal El Dib, Rymco Chiyah and Baakline showrooms this month.